Thinking about rehoming a horse, but not sure if you qualify? Rachel Angell, rehoming manager at Redwings Horse Sanctuary, explains the process to expect should you decide to rehome a horse. At Redwings, we try to find the very best fit for both horse and guardian. All applications for rehoming at Redwings Horse Sanctuary are initially made through our website (details at the bottom of the page). A member of our rehoming team will then call to discuss your application and provide more details. This conversation is really useful for both parties to start the process of finding the right match. Following this, a home visit is arranged to ensure the environment meets our criteria. This also provides the opportunity for you to ask our team any questions you may have about management, such as grazing and shelter requirements. You'll then be invited to meet a prospective horse or pony and their dedicated trainer. If the horse is a ridden horse, you’ll have the opportunity to ride him or her. If all goes well in that initial trial, you’ll be invited back for a second ride that includes going on an accompanied hack. What happens after rehoming a horse? Our Redwings guardians are supported every step of the way in their rehoming journey. After the first month of being in a new home, the trainer will call to discuss how you and your new horse are getting on. Subsequent home checks are carried out at three-, six- and then nine-month intervals. 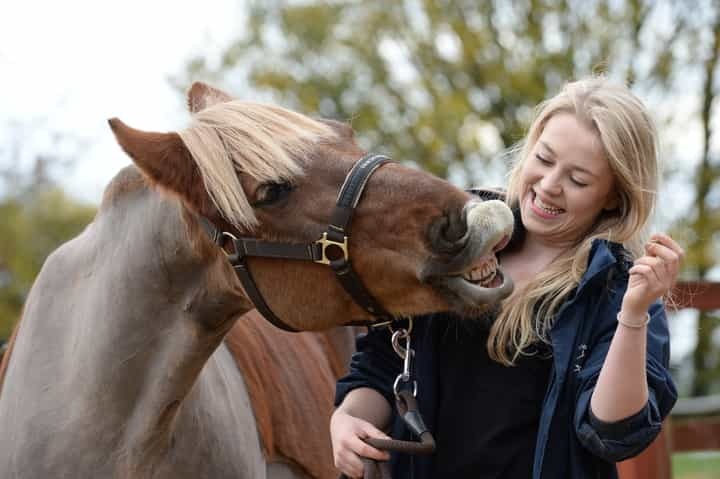 This regular contact provides opportunities for you to discuss concerns and ask questions, and enables us to hear how our horses are getting on and all the wonderful memories that you’re making together.